The Heart Home shop has been given a face-lift ready for the season ahead. Now's a good time to refresh the decor in the home we think. You know, just to help you through the rest of the winter months. When the weather outside is dreary - buy a new cushion, or a new plant holder - that's our mantra here at Heart Home. So, with that in mind we have curated a collection of lighting, furniture, cushions and throws, bed and bath products, kitchen items and decorative products. Just for you. And there are still items left in our sale if you hurry! Don't forget if you don't see anything you like below, there are more items in the shop (just hit the 'shop' tab at the top of this page). Lots of items in the Heart Home shop have been reduced so it's a great time to have a little browse. If you're anything like us, January is the month when we feel like adding new items to the home. The decorations are down, the weather outside is dreadful, and summer holidays are a long way away. Now's the time to hunker down, make the home cosy and enjoy being in the warm. And don't forget, if you don't see anything below that takes your fancy, there are lots more items in the shop. You can find the tab at the top of this page. Less than a week to go for Christmas it's time to make those last minute gifts a priority. Here at Heart Home we've put together a list of pretty gifts for all. Don't forget to order quick so it arrives in time for Christmas day. Remember, if you can't find it below, just click the 'shop' tab at the top of the page and you'll find lots more to choose from. Why not go all out this Christmas for your loved ones and really treat them like you really mean it. This is really all about that 'special' someone in your life and so we've put together gifts that are one of a kind that will be treasured forever. And remember, if you can't find it below, just click the 'shop' tab at the top of the page and you'll find lots more to choose from. It's time to splurge a little on the perfect gift for someone very special. So we've put together a very exclusive collection in the shop to help you find what you're looking for. And don't forget, if you can't find it below, just click the 'shop' tab at the top of the page and there is lots more to choose from. We wouldn't want to leave out the little ones, now would we? After all, Christmas is more about the children than the grown-ups. But we must confess, that when we chose items for the younger generation to put in our shop we were thinking more about the things we wish we could buy for ourselves. Forget the plastic robots, the computer games, and this years' latest trend. We want to buy items that look good, will last, and will out-see fickle fashion. Gifts that are not just for Christmas. But don't forget, if you don't see anything you like below, pop over to the shop (see the tab at the top of the page) where there is lot's more to choose from. Finding the perfect gift doesn't mean that one needs to break the bank. In fact lets not forget that Christmas is all about tradition and kindness. It only takes a small gesture to show someone you care, after all it's the thought that counts. Therefore we've put together a list of gifts all under £50 to make that someone's Christmas that extra special. It's the simple pleasures that make the difference. And don't forget, if you can't find what you're looking for below, you can visit our shop by hitting the tab at the top of the page where we have lots more lovely gift ideas for you. Christmas wouldn't be Christmas without a few bulging stockings hanging by the fire. And it's not just the children who expect a few little extra bits and bobs in our experience. Or maybe you have a family tradition of wrapping up a small gift to put by the side of the plate at the dinner table? So we've put together a few ideas for little gifts that are not too expensive, just for you. And don't forget, if you don't find what you're looking for below, you can visit our shop by hitting the tab at the top of the page where we have lots more festive goodies. Next up on our Christmas gift guide are pretty accessories for the home. There's nothing more satisfying than finding the perfect gift for the home that makes it that extra special. Here at Heart Home we've got you covered, so to make it that little bit easier for you, we've compiled a lovely gift list to kick start the Christmas shopping! If there's nothing that tickles your fancy below (which we find hard to believe), then don't forget that there is so much more in the Heart Home shop. Just click the 'shop' tab at the top of the page. Happy shopping! With the festive season fast approaching, our thoughts are naturally turning to entertaining and Christmas parties. And this year, more than any other, we think it's time to go for all-out glamour and glitz. So when we saw what was on offer this year in the Oliver Bonas stores we got super-excited and started planning little get-together's with more than a hint of the tropics. Nothing will add a hint of sparkle to a party like mixed metals. Brass, copper and silver cocktail shakers, glassware, and carafes will make cocktails extra special and look fantastic in candlelight. Rum optional. Or go all-out and dress a cocktail trolley for the entire period. You never know when unexpected guests will knock on the door and it won't take long to mix a drink with everything all ready to hand. But we can't help thinking that once Christmas is over, these little copper goblets will still be adorning our dressing tables filled with baubles, or on the mantlepiece giving our flower displays a bit more oomph. After all, a cocktail shaker is for life. Not just for Christmas. Pineapple Cocktail Shaker, £34, available to pre-order. Gold Confetti Decanter, £19.50. Set of 4 Mixed Metallic Champagne Glasses, £29. Set of 4 Mixed Metallic Glass Tumblers. £24. Gold Confetti Tumbler, £5. PAD is an online lifestyle store, with a retail and design studio based in Edinburgh. Travelling far and wide to source chic and unique home and fashion brands from across the world, PAD is an edit of cool lifestyle products, curated for customers on one, easy to use shopping platform. It also has its own PAD range of bespoke, limited edition furniture and accessories, handcrafted by specialist carpenters at its workshop in Indonesia, and upholstered in a wide variety of designer fabrics and finishes here in the UK. PAD caters especially for those who strive to uncover the finest in new design, but have little time to do all the research this involves. The buying team endeavours to source the best in lifestyle brands from around the world and delve into the creative scene of different genres. From independent brands to well known brands, PAD Lifestyle ultimately showcases great design under one umbrella, whether the brands are established or new start ups. The PAD Collective includes a beautiful range of furniture, lighting, fashion, art, home wears and stunning design objects. Brands such as quirky Dutch design label Pols Potten offers tongue and cheek but innovative home products, and Berlin brand The Knots creates cutting edge, contemporary wool rugs using original, vintage rugs from the Middle East. For the fashion-conscious, Scottish jeweller Sarah Brown's stunning made to order range draws inspiration from the untouched natural environment with intricate, organic designs encrusted with gems and fresh water pearls, Cocoon Luxury Wear produces stylish, vintage style 100% Harris Tweed capes and Matt & Nat is a Canadian Vegan handbag label with modern designs for men and women. From PAD's own range the teak root coffee table with glass top and the teak slab fossilised pieces with aluminium bases are very unique and understandably popular with customers. When it comes to bespoke furniture PAD Lifestyle is truly unique, ensuring that only one to six pieces of each style are created. Customers can also design their very own piece to their specific requirements in size, finish and fabric. The concept of “inspired living” is truly achievable with the combination of brands and services offered by PAD Lifestyle. It's fair to say we like to be organised at Heart Home. The beginning of November heralds the start of the hunt for the perfect gifts for our friends and loved ones. And it has to be said that we only buy things that we would love to have ourselves. Which is why you will only find things in the Heart Home shop that we have personally selected and hope that we find in our Christmas stockings at home. So, friends and relatives reading this - please take note. 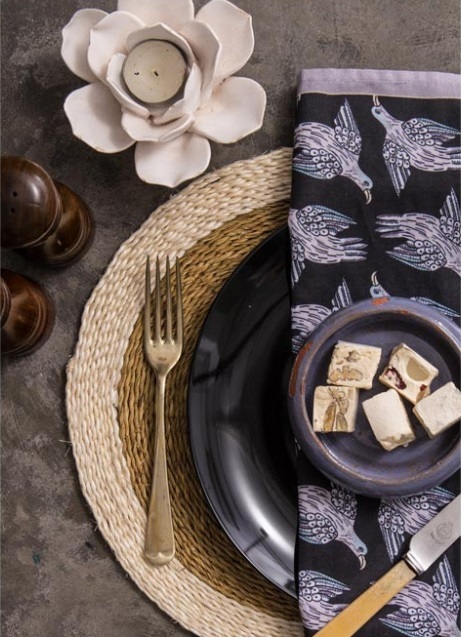 Kudo Home is an online boutique specialising in homewares, accessories, and lifestyle goods from the African continent. The owner Thandi Mbali Renaldi (British born with a South African father and an English mother, but now living in Brussels), sources items where possible, that have been made in partnership with local communities, from sustainable products, and manufactured with respect for the local environment and its inhabitants. Blankets and Baskets from Hinterveld. We'd quite happily order the entire stock, but if we had to choose, the mohair blankets in earthy colours would be very welcome now the nights are turning cooler. And wouldn't these paper mache bowls featuring bright prints and iconic African motifs make very handy catch-all bowls around the house. Not to mention perfect gifts. And the purchase of each one will aid the Wola Nani organisation which was established in 1994 as a non-profit charity to help bring relief to the communities and people of South Africa living with HIV/AIDS. And don't even get us started on the Halsted cushions and the Gone Rural placemats (above). Gone Rural encourages Swazi women to use their artistic skills and weaving talents to produce woven goods using sustainably sourced grass. "I take a personal interest in each and every order. I like to know who is ordering what and where the items are going. 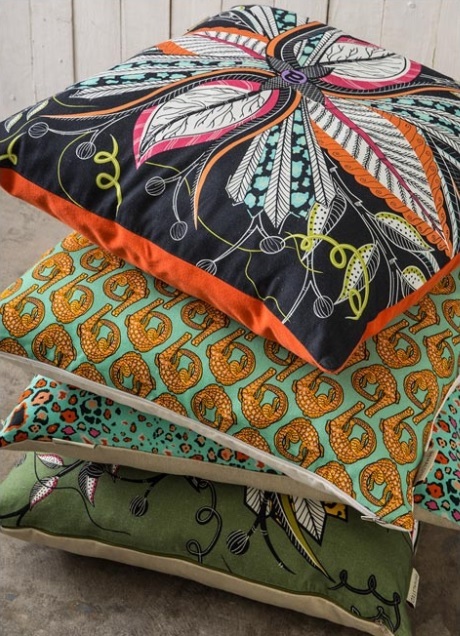 I love the idea that something made by hand in Cameroon has found its way to a New York loft. I imagine the journey of a handwoven Swazi basket preparing to be unwrapped in a living room in Antwerp." Thandi Mbali Renaldi. “There is always something exciting happening in Camden Passage whether it's a new market, street events or live music,” says 29-year-old Jenny Hughes, founder of Home & Pantry. “It's the perfect destination for an afternoon shopping and has lots of options to grab a coffee and cake or sip a glass of wine and watch the world go by,” she continues. When looking for a shop premise she knew it would be the ‘perfect location’: “It has that great village feel that I am used to at home [Dún Laoghaire, south Dublin] – everyone knows each other,” she explains. Jenny, who moved to London three years ago due to the recession, wanted to start her own business from a young age. Pursuing the idea, she worked in family businesses while at school, completed a degree in commerce at University College Dublin and spent four years working in entrepreneurial roles. “I wanted to gain as much business experience as possible before opening my own store,” she says. In December 2010, feeling ‘totally uninspired’ with her corporate job, she handed in her notice to open Home & Pantry. “Having only recently moved to London and in the midst of a global recession it was a huge risk. I had to speak to six banks before persuading one to take a chance on me,” she recalls. After spending months searching for premises in Islington, plus painting and stocking the new store with help from friends and family, the boutique opened in April 2011. Inspired by her favourite interior retailers, Anthropologie, The White Company and Not on the High Street, the store sells rustic, French and shabby-chic homeware and gifts. Products are sourced from France, Belgium, Morocco and India as well as the UK and Ireland, and mixed with vintage finds. 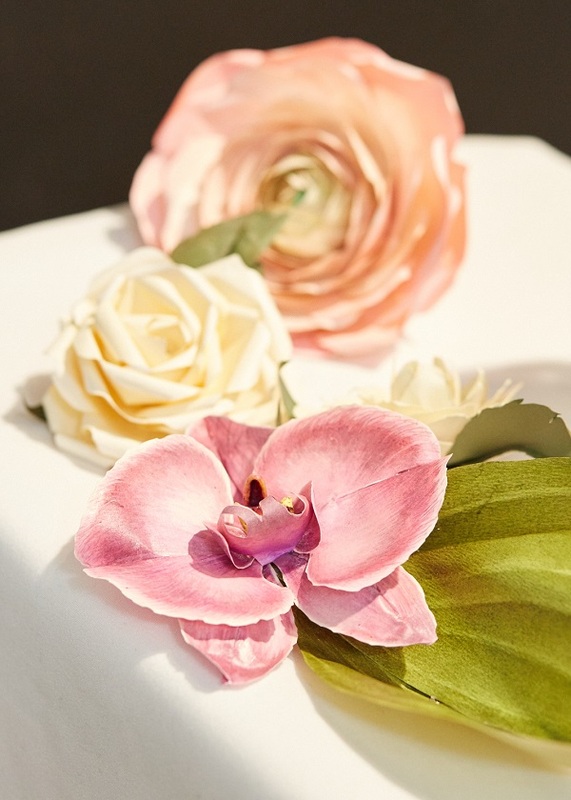 “We have a lot of suppliers for such a new business but we do this in order to constantly have a great selection of bespoke products coming in,” explains Jenny. The range includes willow baskets, antiques frames, lace scarves, wooden trestle tables and distressed mirrors. What does she look for when sourcing new pieces? “We carefully select every product for quality, style, originality and value,” she says. Aware of the growth of social media channels such as Pinterest and Instagram the site also includes a 'get inspired' section to help customers with interior decisions. “In the vast ocean of the world wide web we are always conscious of the importance of trying to connect with the customer, in essence we are trying to replicate the type of service you would experience in store,” she explains. Currently Jenny is looking for a second larger store: “Not having lived in London long makes it difficult to know where to look. We are constantly asking customers and I take days off work to visit recommended locations to get a feel for the areas,” she says. Following on from last year’s success, Handmade in Britain is returning to the Royal Botanic Gardens in Kew, for the second edition of the four day craft spectacular, Handmade at Kew. 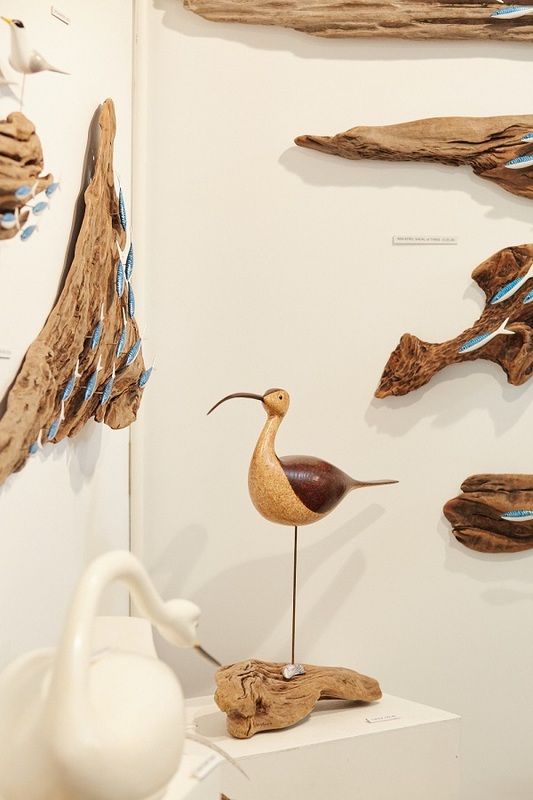 Once again, Kew Gardens will play host to this innovative, global craft fair where more than 150+ highly skilled international makers and galleries will showcase their ceramics, glass, furniture, textiles, metalwork and jewellery. Taking centre stage in the heart of the botanical gardens, this four day selling event, is to be housed in an elegant pavilion next to Kew Palace, and will offer visitors the unique opportunity to meet and buy one-off pieces directly from artists, makers and craftspeople and learn about the ideas and processes that shape their work. In fact it's set to become London’s leading international craft event, and the venue couldn't be more beautiful. Your ticket to the event will not only give you access to the show but also to the whole of Kew Gardens, allowing you to soak up the delights of the world’s most famous botanic garden with its fine glasshouses and rare blooms. It’s a fabulous day out for the whole family and a rare opportunity to indulge in heritage, horticulture and shopping, all on the same day, in the same place. With tickets giving you access to the whole of Kew, in all its autumn splendour we might add, take your family and friends and make a day of it. Besides, Christmas isn't far away. We are so excited to share with you a new find of ours. Meet Curious Egg, an online boutique that sells uniques beautiful homeware pieces with an individual flair. Curious Egg was set up in 2015 by Lorraine Aaron and with the help of her husband Roddy. Lorraine is a professional artist who loves visiting new places and through their regular travels off the beaten track, they often explore hidden studios and local artisan makers and entrepreneurs. She's constantly on the hunt for fine crafted objects, interesting limited edition artworks and tactile, characterful homewares. And also enjoys uncovering and sharing the fascinating stories they tell. Curious Egg is Lorraine's little corner of the internet to share ideas and conversations about interiors and art as well as some of her most interesting product finds. Her aim is to bring art and interiors together in a relaxed and imaginative way by offering a small, carefully curated and ever changing range of beautiful and interesting products that will help you to craft your home and celebrate your individuality. If you are looking for something particularly special or that is completely unique to you, I also offer a bespoke sourcing service. With just a couple of weeks away from Father's Day, we thought it was time to share some gift ideas to keep the Daddy's happy. We've got you covered with the sleekest and most practical gifts around. Every dad has the right to be stylish so we thought we'd make the work easier for you. From grooming, to the perfect man bag, to the stripiest of socks there is something for every type of man in your life. Lots to choose from in the Heart Home shop, so make sure to have a wee browse and lets see how much we can tempt you. Happy shopping and don't forget Father's day is on Sunday 19th June! The Shoreditch collection from The Orchard takes the concept of reclaimed furniture to the next level or concept and style. The collection features items for all over the house including bookcases, tables, chairs, benches mirrors and cabinets that are made using reclaimed wood salvaged from old boats and buildings in southern India, including Gujarat, Maharashtra and Rajasthan. The aged timbers are typically between 50-150 years old and are assembled by skilled craftsmen who create this characterful and eye-catching furniture. As each piece in the range is hand finished using a unique blend of reclaimed timbers every item is truly individual and environmentally friendly. Each item is finished with beautifully made steel outer frames that offers great structural rigidity and a stylish urban edge that is perfect for an industrial styled space or for those who love up-cycled pieces. See more cool pieces from The Orchard. P.S. Their is a big Sale now on for the whole of May and is planned to end in early June. For a sneak peek at the sale items, click here. While the weather is still not clearly making its mind up, it's safe to say that Spring has finally sprung. The days are longer and when the sun shines it really does put a smile on everyone's face. Another way to embrace the new season is by decorating the home with lots of pretty plants. They don't have to be real if the struggle is to look after them, in fact faux plants can look great. It's all about bringing the outdoors inside and getting the home ready for Spring. It's for this very reason that we thought of putting together a selection of pretty vases from the Heart Home shop as the perfect accessories for your plants. After all it's the small details that always make a difference. So lets celebrate new beginnings and time to make/add a few changes to the home.